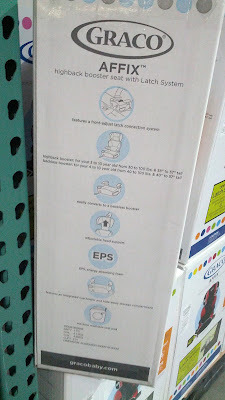 I have bought Graco products for several years, from infant car seats to toddler seats to playpens. 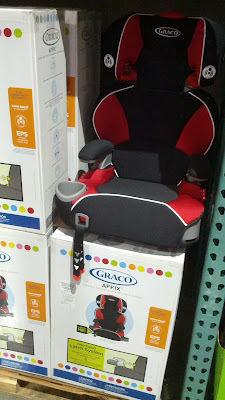 This Graco Affix Highback Booster Car Seat will make a great addition for when my little one gets to about 3 years old. Graco products are of great build quality, easy to clean and meet my price points. The Latch System is very convenient in attaching the Affix Highback to the backseat of my car. Safety is also a concern for me so the EPS energy-absorbing foam is a necessity. The pads on the other Graco car seats I have are easy to remove and attach and are machine-washable. These conveniences are a welcomed bonus for that always-busy parent. As you know, kids grow rapidly and before you know it, they’ll be taking your car out of your driveway. 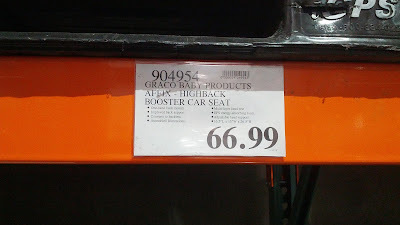 But before that happens, buy this Graco Affix Highback Booster Car Seat. Keep your child safe and secure with the Graco Affix Highback Booster Car Seat. Graco Affix Highback Booster Car Seat Model Number 1852665. Graco Affix Highback Booster Car Seat with Latch System. This Graco AFFIX car seat easily converts from an adjustable highback to a backless booster seat that keeps your little travel companion safe and comfortable for years. Secure connection keeps booster seat steady to let your child buckle the seat belt. Movable headrest easily adapts to your growing toddler's needs. EPS energy-absorbing foam protects your child from injury. Open-loop belt guides let you properly position your vehicle's seat belt. Integrated cup holder and hideawaystorage compartment offer convenience.